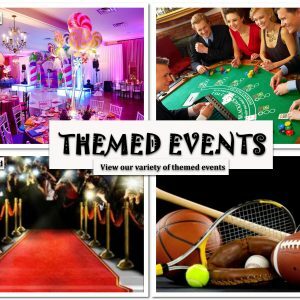 Interested in Our Bar / Bat Mitzvah Party Services? 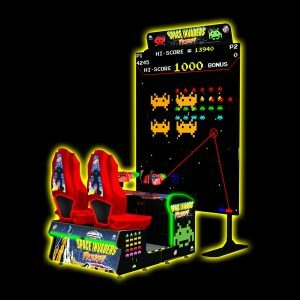 We’d love to get the chance to talk to you and show you that we’re your best option for an out-of-this-world bar /bat mitzvah party that your child and guests will remember for years to come. We invite you to give us a call at call at (800) 469-3866 or fill out our contact form. 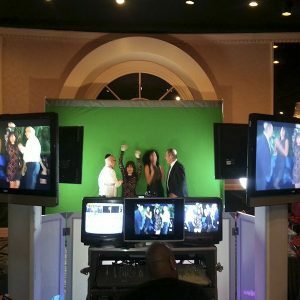 Find out why NY Party Works is one of the most referred entertainment providers on Long Island, New York City and New Jersey especially for bar and bat mitzvahs. 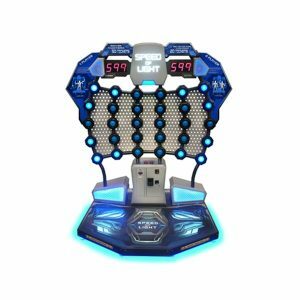 Are you looking for one company to provide amazing bar/bat mitzvah entertainment and planning services on Long Island or New York? 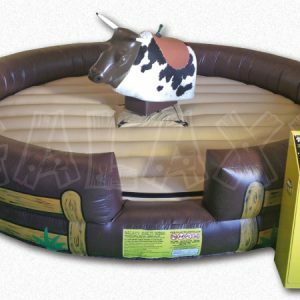 NY Party Works has been providing incredible entertainment to make your children’s bar or bat mitzvah an event they’ll never forget. We work hand-in-hand with Jewish families and communities to help young men and women come of age with a celebratory event that stands out from the norm. 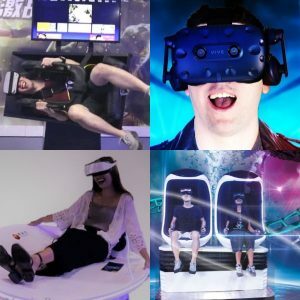 We combine the religious traditions of a typical mitzvah throughout the celebration with our state-of-the-art interactive entertainment to make for a unique party that will have your guests astonished. We are with you every step of the way to help plan this special occasion from décor to entertainment to lighting. 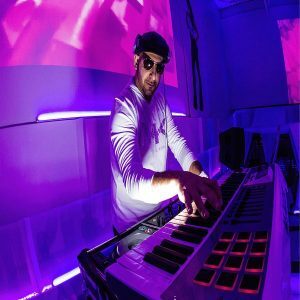 The DJs we provide for Bar and Bat Mitzvah celebrations are some of the best in the business and know how to keep the party moving! 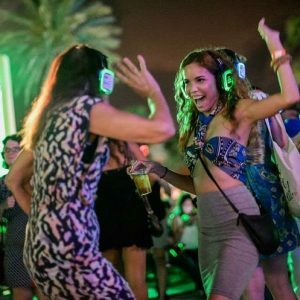 We will work with you to pick out a track list that is appropriate for all guests of the party that still gets everyone dancing. We have some of the most talented staff of MCs who can help keep the energy up throughout the course of your child’s Bar or Bat Mitzvah. Our DJs come equipped with fun party favors that can really up the fun factor. Popular DJ party favors include LED glow sticks, fun hats, sunglasses and other items that can match your bar/bat mitzvah theme. 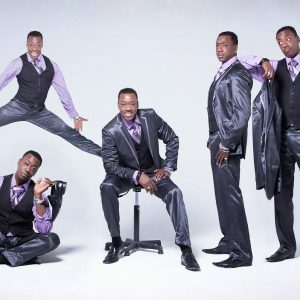 We also have a team of performers to help provide live music or dancers to get everyone moving to the beat. One of the most fun things to do at a bar/bat mitzvah is to visit the photo booth. 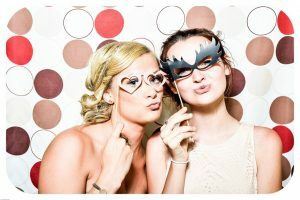 NY Party Works has the standard Photo Booth that is always a hit but we also have the newest and up to date photo booths out there! 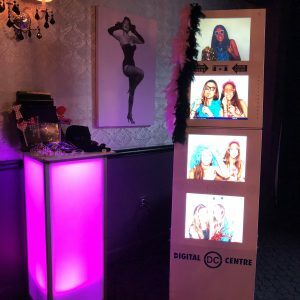 Our specialty photo booths come with several different unique photo items that also serve as a token for your guests at the end of the night! 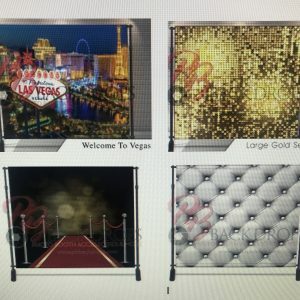 We have specialty photo booths such as the Mirror Me Selfie Booth and the IT Booth where you can post your photos directly to social media sites such as Facebook, Twitter, and Instagram or they can even be sent to your cell phone. 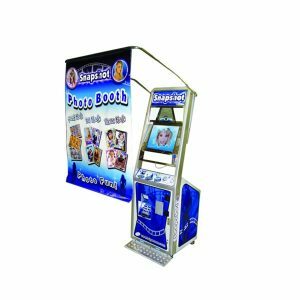 We also carry smaller booths if you have a limited amount of space such as the Snapshot Booth. 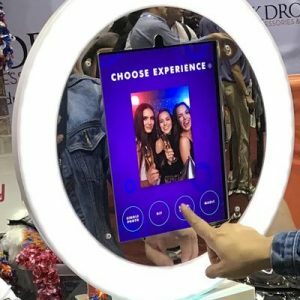 With the Snapshot Booth, there’s plenty of frames, funny phrases, stylish graffiti, and even handwritten text via the touchscreen that can be used to decorate the frames. Our take-home photo frames include classes such as snow globes and viewfinders as well as new items like flip books, phone case, and even movie posters! We also have the capability of customizing the backgrounds of your photos. One of our in-house graphic artists will work with you. Another aspect of bar / bat mitzvah celebration entertainment are custom take home souvenirs. NY Party Works has some of the best party favors that will astonish your guests.We offer favors such as air brushed apparel like t-shirts and sweatshirts, Chinese calligraphy name painting, candy art and even things like fork art! All of these can be customized to match the theme or color scheme of your event. 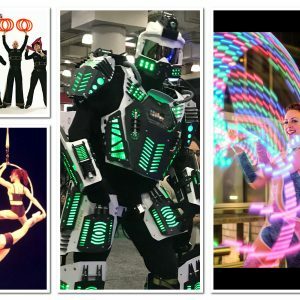 NY Party Works is a full party entertainment provider. 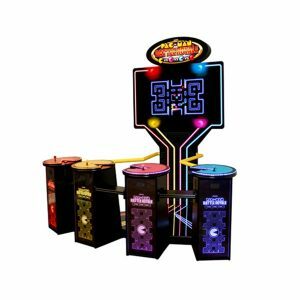 We can supply you with a slew of different party rentals for your child’s bar or bat mitzvah that will help make it stand out from the rest. 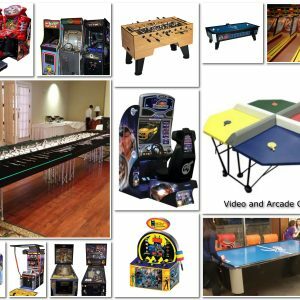 We also offer unique experiences like arcade party rentals like the popular Pac Man Royale, virtual party rentals, game table rentals like foosball, ping pong and air hockey as well as sports rentals to keep every kind of crowd entertained. 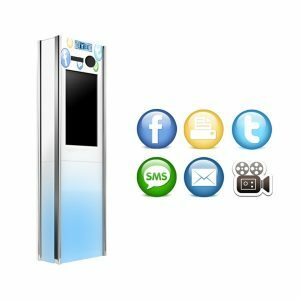 And for those guests looking to satisfy their cravings or cure a sweet tooth, we offer multiple food machine rentals and food carts. 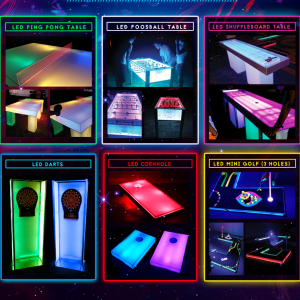 We even have a “Glow Package” where everything from the food like cotton candy to the game tables are illuminated with LED lights. Are you a busy parent who has a lot on their plate? 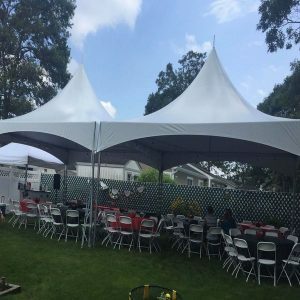 Besides providing you with amazing entertainment, NY Party Works has total event planning services and will work with you from start to finish in order to provide you with the best bar / bat mitzvah party. Our total event planning services include decoration services, lighting and staging, lounge furniture as well as catering. We will help you create a specific look that captures your theme from balloons, props, centerpieces and backdrops. Let our lighting experts give your son or daughter’s party the perfect atmosphere for celebration and make everything look top-notch. Our wide selection of lounge furniture can be used in a VIP area or as seating for your guests. Our catering services and will help create a customized menu that can be as simple or as fancy as a formal dinner.